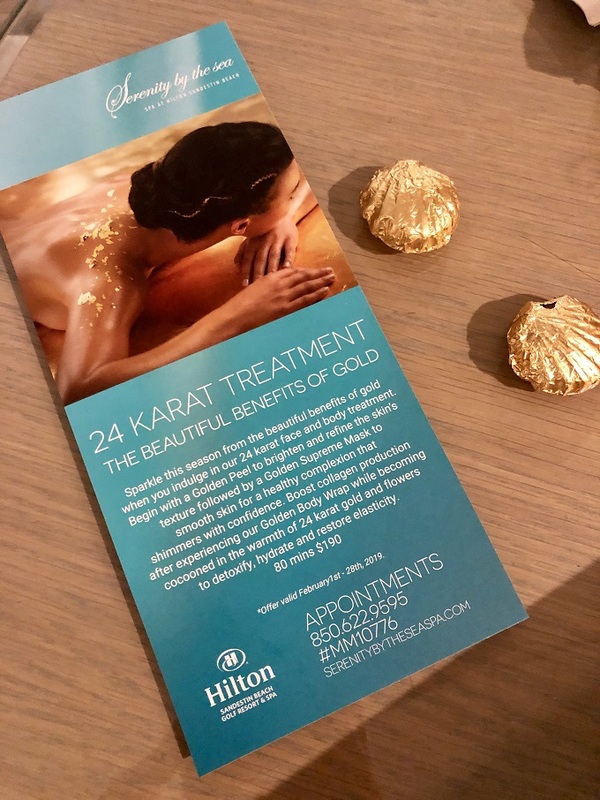 I was recently invited to the Hilton Sandestin's Serenity by the Sea Spa to experience their latest high-end treatment: the 24K Face and Body Treatment. 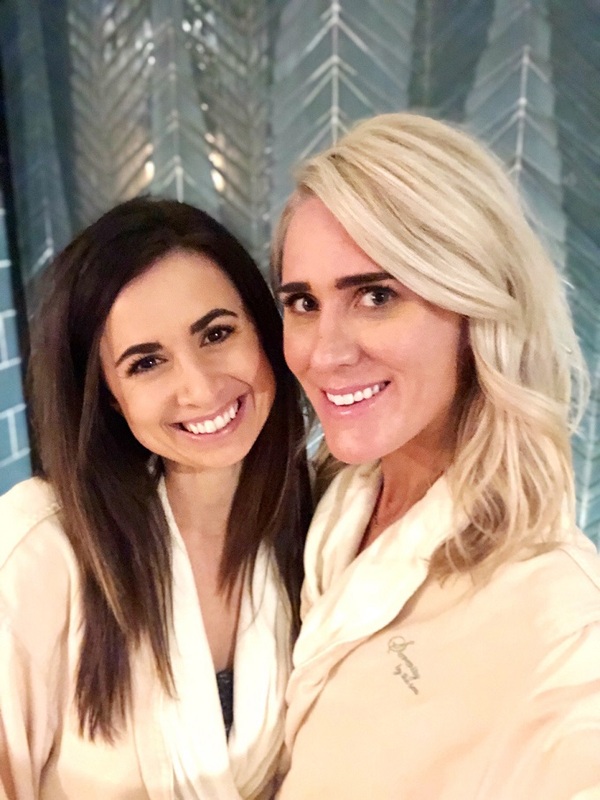 What made it even better is that I was able to bring along one of my long-time besties, Danielle, to take part in the pampering. I have experienced a couple services at Serenity, all of which were fabulous, but I had yet to experience a facial. 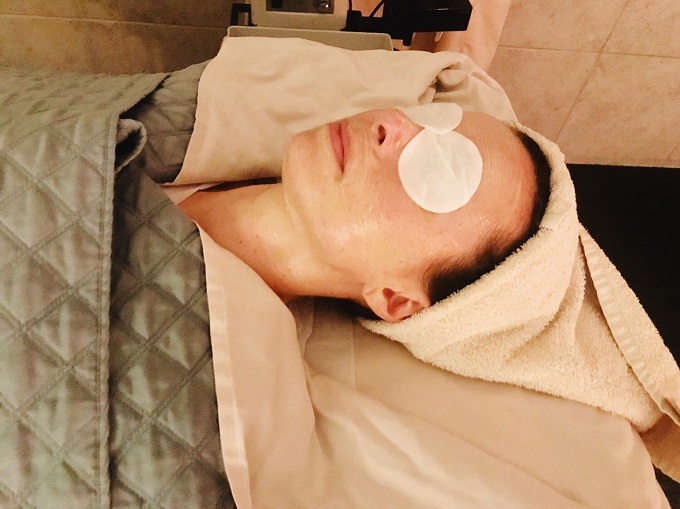 I've only experienced one facial in my life (I know, I'm so late to the game y'all) and I've actually never experienced a body treatment, so I was beyond stoked to get to try this new treatment. 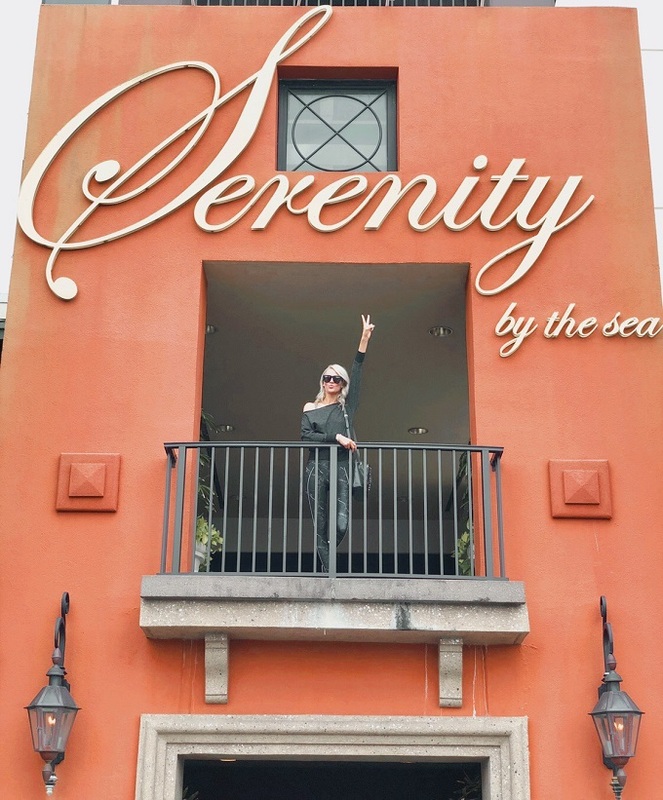 The staff at Serenity by the Sea Spa were extremely hospitable. They greeted us with the biggest smiles and were super friendly as they gave us a tour of the spa. 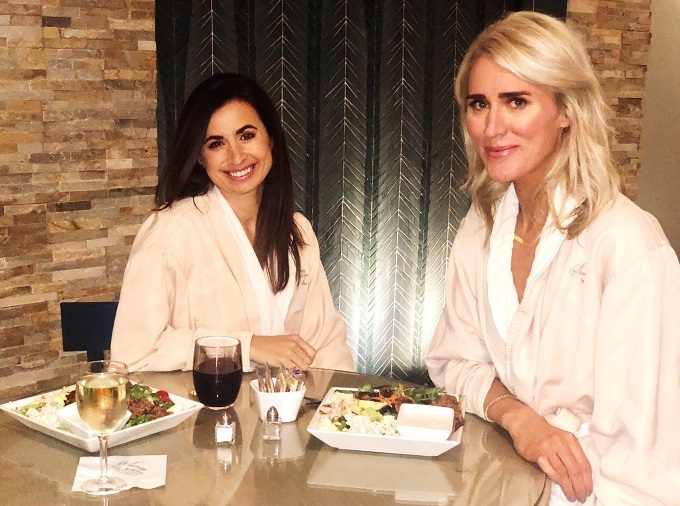 After our tour we changed into our luxurious robes and entered the lounge to enjoy a lunch and some girl time before our treatments. 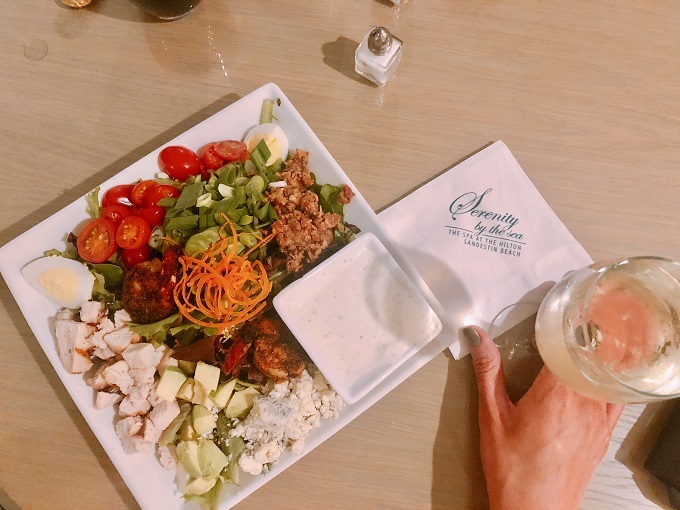 We lunched on delicious blackened shrimp cobb salads and sipped on some wine as we caught up with eachother. If you follow me on Instagram then you may already know that I got engaged on February 1st, so needless to say I was over the moon and super happy. 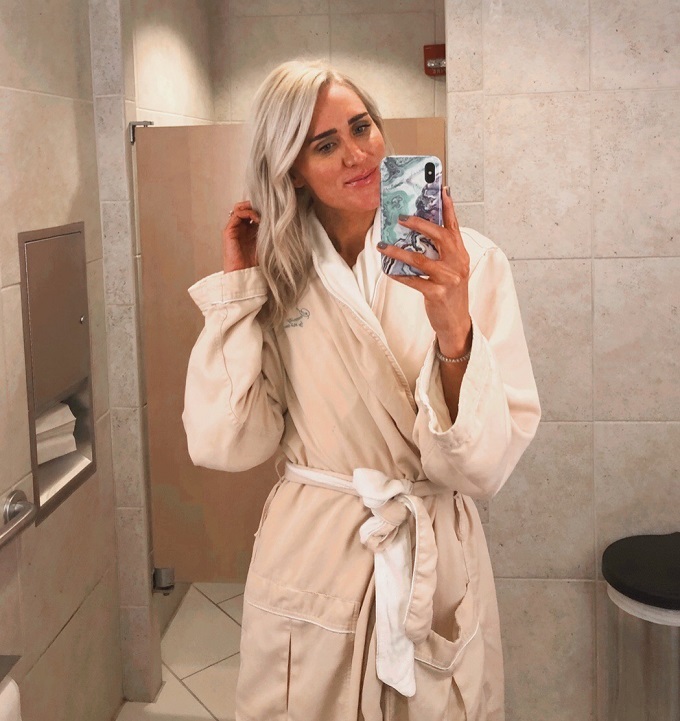 The spa date with one of my besties was a great way to celebrate. After our lunch we separated and went into our own rooms to receive the treatment. To say that the experience was relaxing is such an understatement. I dozed off a few times during the 80 minute treatment and felt that I could've just laid there for hours. My entire body, from head-to-toe was pampered. They begin the treatment by dry brushing the entire body, from our decollete, to our arms and hands, to our stomach's (by choice), and finishing with our legs and feet. That was the first time I had ever experienced dry brushing and it actually felt really good. You imagine it to be very painful, as it's a thick bristled brush that's rubbing all over your skin, but it's actually quite relaxing. I learned how beneficial dry brushing is for our bodies. It jump starts our lymphatic system and helps to detoxify the body (you can read more about dry brushing here). After the dry brushing comes the masks. 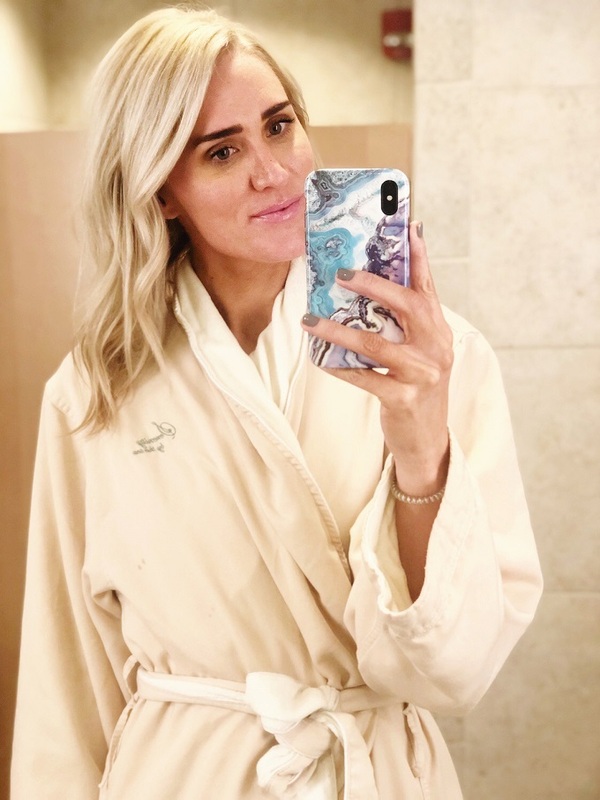 It begins with a Golden Peel to brighten and refine the skin's texture and is followed by a Golden Supreme Mask that smooths the skin, resulting in a healthy (and shimmering) complexion. 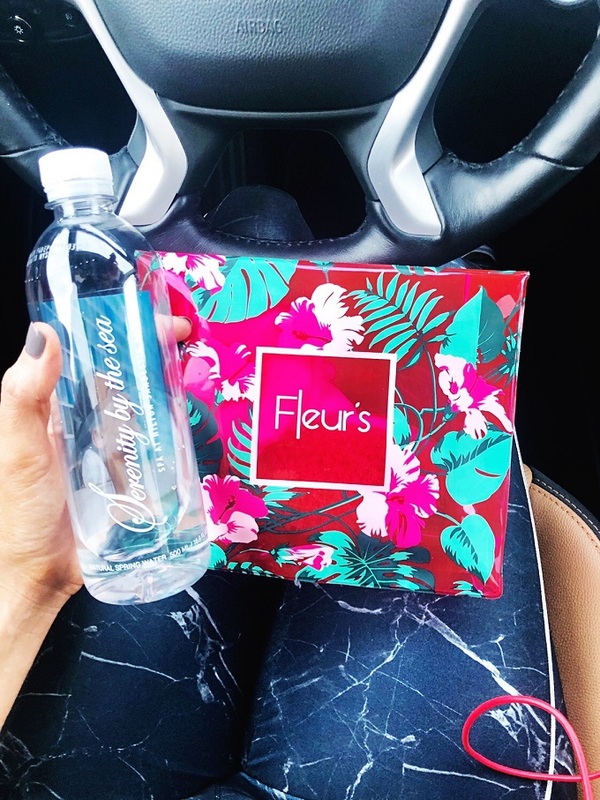 The Golden Body Wrap boosts the skin's collagen production while the body is cocooned in the warmth of 24 karat gold and flowers, that detoxifies, hydrates, and restores elasticity. Oh and I cannot forget to mention how AMAZING the treatment smelled. It definitely helped relax me more. It felt very therapeutic. 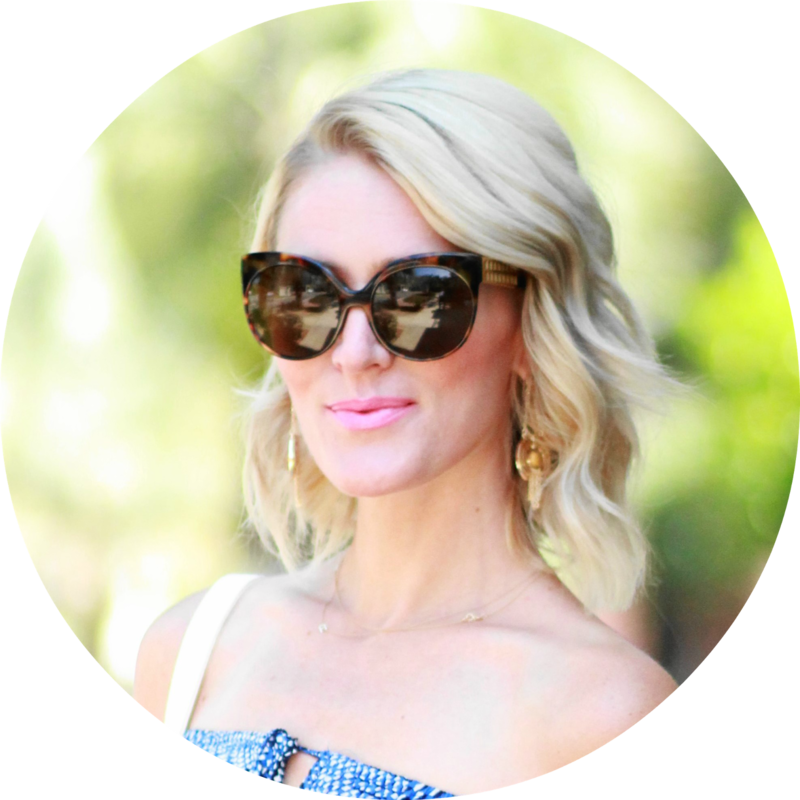 After the treatment my skin felt rejuvenated. It felt more hydrated, supple, and clean. It really made my skin feel detoxified and full of brightness. I'm not sure if y'all can tell the sparkle on my skin after the treatment (the camera really doesn't do justice), but my body was FULL of sparkle, y'all. 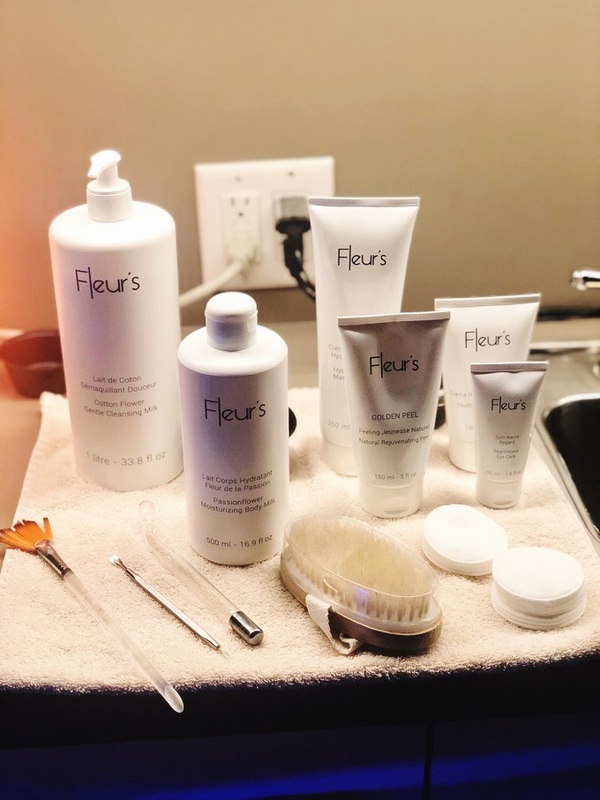 Danielle and I both received a complimentary Fleur's goodie bag, which included a soft pouf full of sparkle that we can use at home, as well as our own dry brush (which I am so excited to incorporate into my daily beauty regime). All and all the experience was memorable. 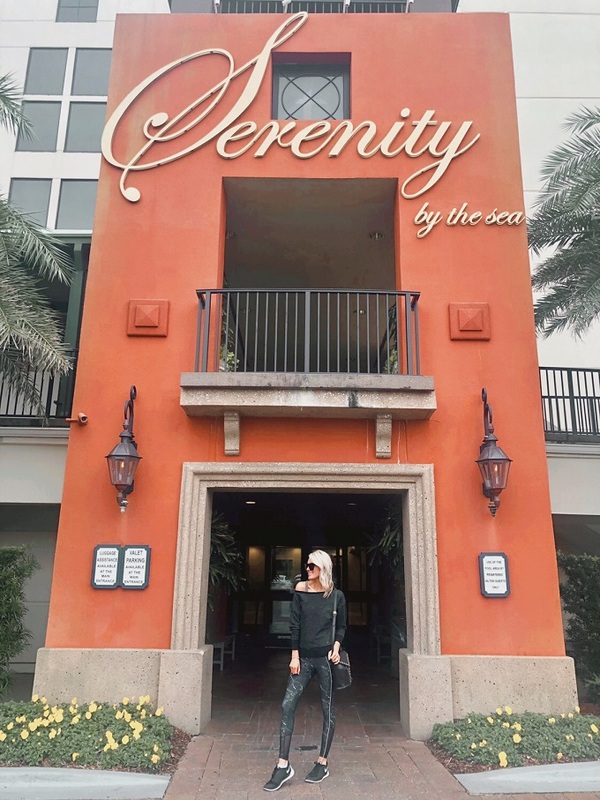 We both thoroughly enjoyed being pampered by Serenity by the Sea, and I know I am definitely going to come back to experience another facial and body treatment (I may even convince my fiance' to join me). Serenity by the Sea is beyond thoughtful and gave me a discount code to share with my lovely readers, just in time for Galentine's Day! :) Grab your mom or best friend and head to Serenity by the Sea to experience pure bliss. 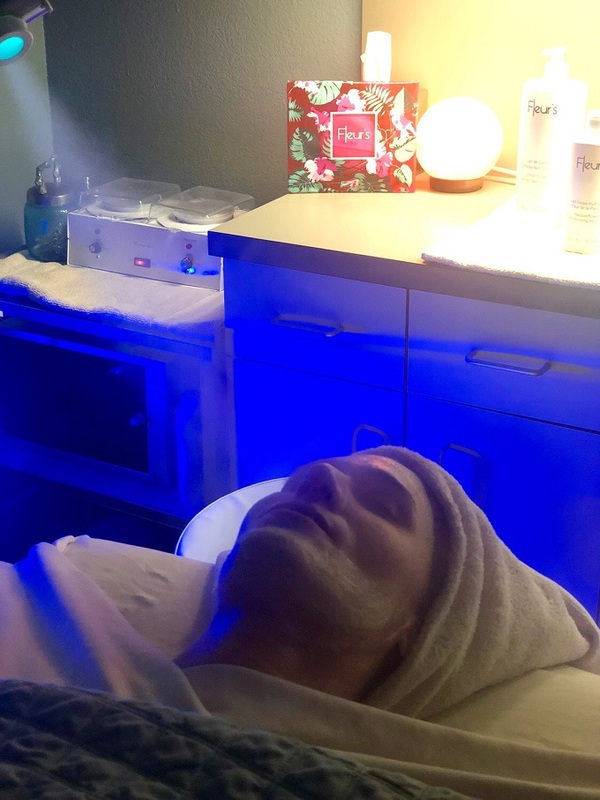 Mention code: JENNIFER at the time of booking to receive 10% off your 24 Karat treatment as well as any products you purchase from the Spa Shoppe.